BCDB Rating: 4.1/5 Stars from 19 users. This page has been viewed 58 times this month, and 6933 times total. 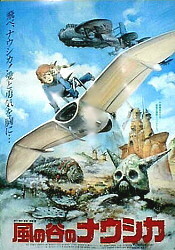 Cartoon Characters: Nausicaä, Jihl, Oh-Baba, Yupa, Mito, Goru, Gikkuri, Niga, Teto, Asbel, Rastel, Mayor of Pejite, Rastel's Mother, Kushana, Kurotowa, Commando, Pejite Citizens, Pejite Girl, Torumekia Soldiers. 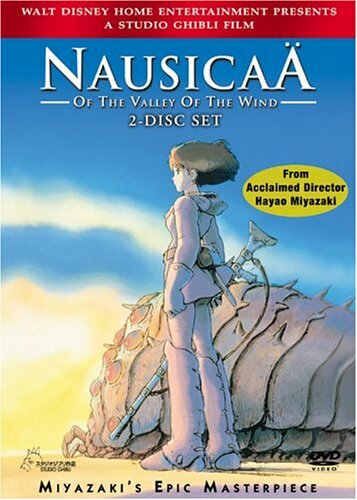 Directed By Kazuo Komatsubara, Hayao Miyazaki, Mitsuyoshi Nakamura. Produced By Isao Takahata, Tohru Hara, Michio Kondô, Yasuyoshi Tokuma. Animated By Kazuo Komatsubara, Takashi Nakamura, Kazuyoshi Katayama, Hideaki Anna, Takashi Watanabe. Awards: Best Short Film, Fantafestival, Rome, 1985. Editor: Naoki Kaneko, Tomoko Kida, Shôji Saka. Originally Released on March 06, 1984. "風の谷のナウシカ" and "Kaze No Tani No Nausicaä." 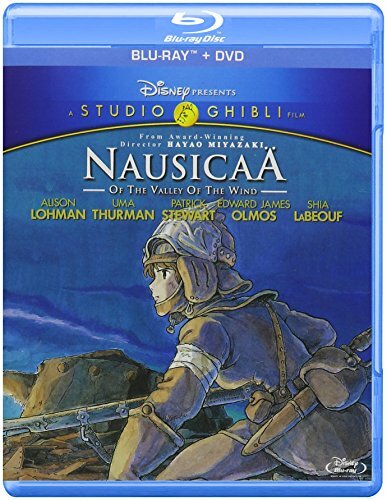 "Nausicaä of the Valley of Wind," "Nausicaä," "Nausicaa," "Warriors of the Wind." Do you have anything to add to this page? Have we made any mistakes... or do you have any additional information about Kaze No Tani No Naushika? If so, we would love to hear from you. Please send us a quick note with your additions or corrections to this page, and we will make the corrections as soon as possible! Below are comments about this cartoon submitted by people who have seen this show. Take a look and see what others have said about Kaze No Tani No Naushika. We want to know what you think, too!! Feel free to share your own opinion- we do want to hear from you! You can add your own comments here. Kaze No Tani No Naushika by Big Cartoon DataBase is licensed under a Creative Commons Attribution-NonCommercial-ShareAlike 4.0 International License.